Well hello there, November! This month, we are starting it right with a rebellious idea....the First Look. Actually, this tradition is nothing new especially in the other parts of the globe. But in our own neck of the woods, this is almost unheard of! Why, if this idea went mainstream I can already imagine the nasty comments (and probably even faints) from our dear 'ol conservative oldies. On that note, I would just like to share our First Look as covered by Noel Salazar & Jamie Lihan of Imagine Nation Photography. I first came upon this idea a month before the wedding. I am not superstitious at all. My parents were, but they already allowed for me do a relatively intimate wedding (target guest list was 80), non-Catholic church rites, and non-matching bridesmaid outfits. So, I was sure they wouldn't have minded if we added another non-traditional idea. After all, our engagement and love story was not by any means traditional, haha! So, I asked my groom about this idea. 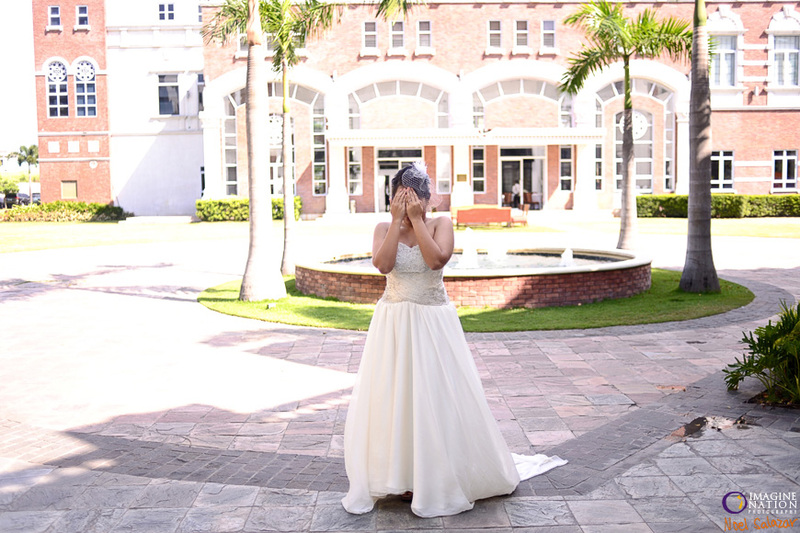 He was wary at first but he also had this feeling that we will both love doing a First Look. I also asked Noel's opinion on this and he said he's only done a First Look once and would love to do another one again. About 3 weeks before the wedding, we decided to have a First Look. We had the wedding day's timeline adjusted to have us be at the location an hour before. Everything went well. The 30 minutes Daniel and I spent together before the ceremony left us feeling pure joy. It really set the mood for the entire day. We were both relaxed and having fun. My usually-uptight-military-fiancé became a funny, carefree new husband to me on that day. So again, thank you very much for putting up your website. I believe Filipinos need more of such sites. 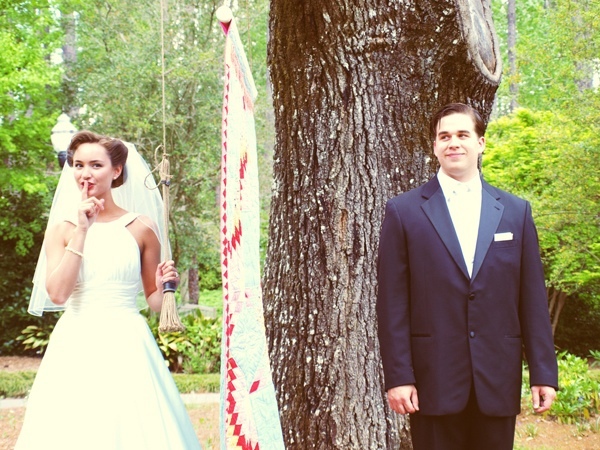 Weddings need not be just carbon copies of everyone elses. Filipinos also need to be adventurous for that first day of the biggest adventure of their soon-to-be married lives. :)"
Rebellious Bride Ivy's First Look made me want to google more about it. I stumbled on an article that talks about why you should consider doing the First Look...and I am totally convinced! Not miss out on cocktail hour – if you choose not to see each other before the ceremony, the only bridal party photos you can get are the bride with her bridesmaids and the groom with his groomsmen. When you look at your wedding album or photos to hang on your living room wall, the most important ones are probably the ones of the bride and groom together. Doing a first look 30 minutes to an hour before the ceremony will free up some time for bride + groom portraits and once you’re done, you can enjoy your cocktail hour without having to worry about missing out on mingling with your lovely guests, as a result, I can get more candid photos as well. Control - First looks can be done anywhere. You have the option to choose the backdrop/scenery and lighting. You can also determine the energy around you, whether you want to make it very intimate, just the two of you, or you can have the bridal party surround you, which can be very energetic and cheerful, as opposed to seeing each other for the first time at the ceremony, where you have no control over lighting and everything else around you. We personally didn't do a First Look for my own wedding but we spent half of the day together before separating for our preps. We had a quiet breakfast together, we met with our dream team together, and we even went on a 3-hour detox spa together. 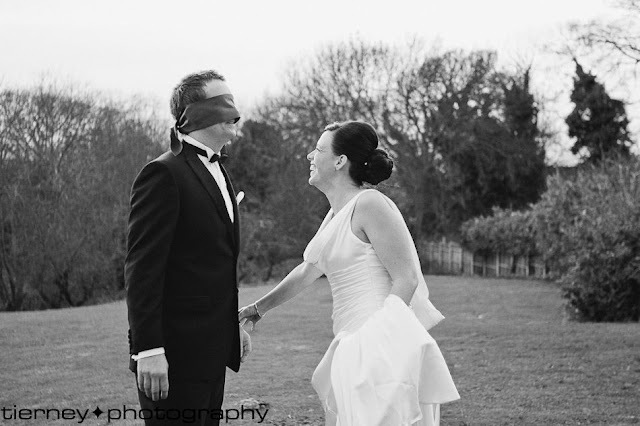 It wasn't a 'First Look' per se but it was proof that we didn't mind creating our own rules. They say it's bad luck to see each other before the wedding day but we didn't believe this at all. We wanted to be together and we wanted to have that peaceful moment all to ourselves just before the hectic schedule kicked in. I think this was one of the best decisions we've ever made and I wouldn't have had it any other way. PS. A very special Thank You to Ivy for sharing this wonderful moment with us. I love both the First Look idea (adore how Noel set up the couple in the photos!) and what you did Kai :) and I would probably combine both when I get married - have an evening wedding so he and I can relax together in the morning, get ready separately and then do a First Look. I'm not superstitious and I completely agree with all the pros given above - I would want to be able to soak in as much as I can of seeing each other for the "first time" in our wedding clothes before we embark on another chapter of our lives together. That, and I'm all for creating new rules that work for a couple rather than following traditions and superstitions that mean nothing to them but they feel like they have to do it to appease others. Dear RB, just want to thank you for this post for this inspired us to do a first look on our wedding last May 5. The result was just heavenly! Can't wait for our official photos from Nez Cruz!